Seventeen months ago, when Sabiha Al Khemir joined the Dallas Museum of Art as its first senior adviser of Islamic art, no one would have considered the DMA a major or even minor player in the field. That’s changing this May, when the world-renowned but rarely exhibited Keir Collection of Islamic Art—assembled by the late Edmund de Unger (1918–2011)—arrives at the DMA on a 15-year renewable loan agreement that requires the DMA to create both gallery space and the first digital archive for the collection. Al Khemir’s exhibition, Nur: Light in Art and Science from the Islamic World, opens March 30 at the DMA following its premiere at the Focus-Abengoa Foundation in Seville, Spain. I caught up with Al Khemir, a Tunisian-born writer, artist and Islamic art expert, as she was preparing to install the show in Dallas. A lightly edited version of our conversation follows. 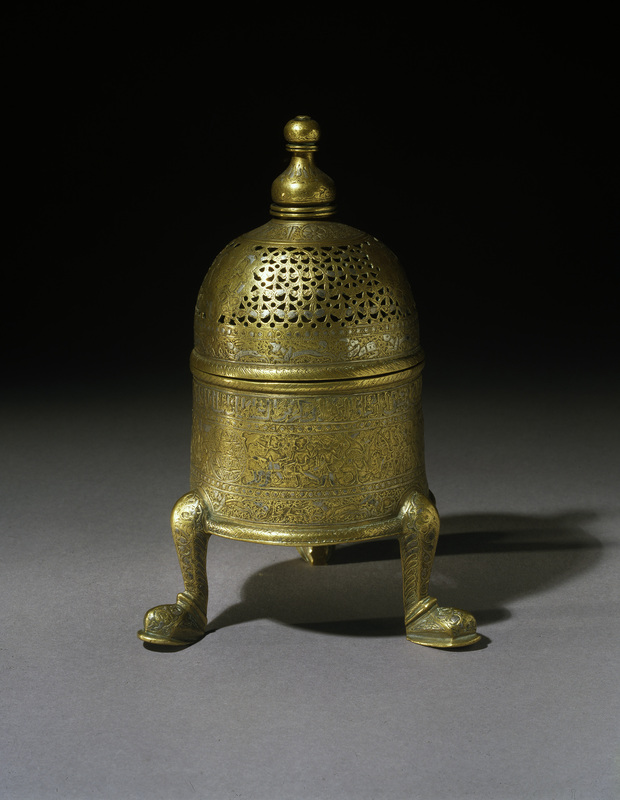 The long-term loan of the Keir Collection will make the DMA’s Islamic collection the third largest of its kind in North America, but previously the museum lacked a significant public display for art of the Islamic world. Was that an advantage or a disadvantage in trying to secure this loan? In a way it’s an advantage because you can say what a difference it’s going to make. But even if there was already a large display of Islamic art in Dallas, I would have found another argument. I know the collection had previously begun a similar arrangement with the Museum of Islamic Art in Berlin, and then that agreement was canceled. Did that experience help clarify what the lenders wanted in a partnership and better position you to meet those needs? Partly, but you have to look at the whole situation, including where the DMA is. Texas is a powerful region. It has a lot of character, and I think when Texans decide to do something, they’re convinced they can do something big and bold. So you have a region that has a strong identity, that has resources and that is willing to do something. The DMA is a strong museum, and it’s a museum that wants to be encyclopedic, so the position of Islamic art will hold significant space within that presentation. And you have a professional staff. I’m not just saying that to praise the DMA; really, there is a professional approach here. I think that was very important for the lenders: All these factors create the circumstances to make this a successful project that we’ll see through. The whole idea is to have this display for the public, to allow scholars to have access and to have the right conditions to take care of the material. So once those factors were there, it became feasible. The first pieces start arriving in May. When do they go on view? Over the next two or three years, there’s going to be a real unveiling of this collection. The first stage is unveiling one symbolic treasure from the collection. We’re still debating which one. And then there will be exhibitions. The first one, in 2015, will introduce the Keir Collection to the DMA public. The second exhibition will have an international dimension, and then there will be a permanent display in the DMA Islamic art gallery, and the Keir Collection will be the core of that. Can you give us an overview of what you’re getting? 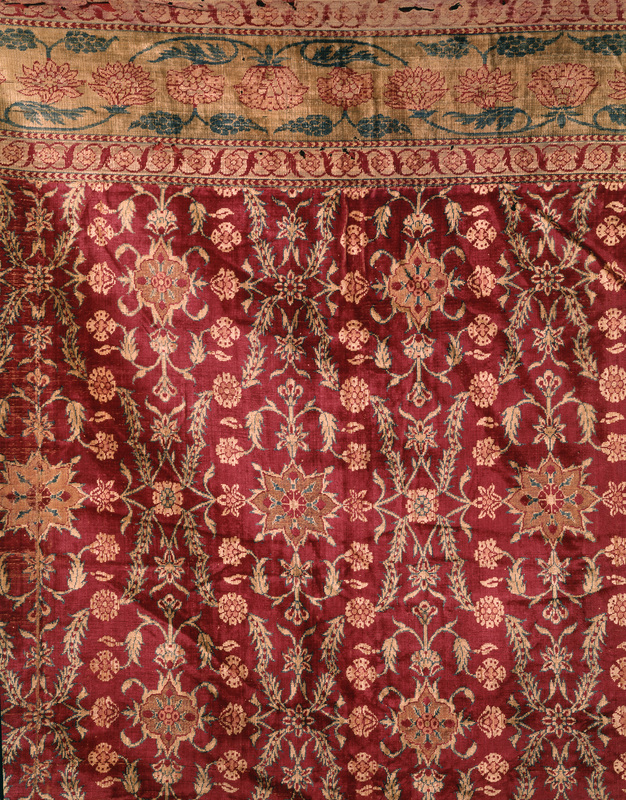 It’s a collection that has gone across media, across time, from Spain to Central Asia, so we’re talking about a huge arc in its presentation of Islamic art and culture. In that sense, it (enables) the DMA to open a door to that whole world, because you have examples from different styles, different periods—that comprehensive aspect is very positive. The key thing is that the DMA is going to provide access for scholars from around the world, and of course to its visitors. Suddenly this collection is going to become publicly available. That’s a huge turning point. It’s one thing when amazing objects are packed away and kept safe, which is basic and important; it’s another thing to create access for people. The DMA’s going to do that, and that’s very exciting. Of course, the most immediately visible manifestation of the DMA’s commitment to Islamic art is the opening of Nur: Light in Art and Science from the Islamic World. 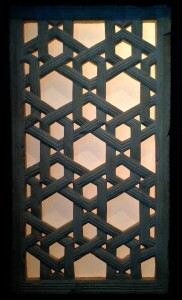 Nur is the Arabic word for light. 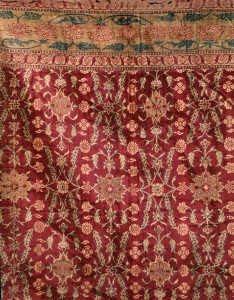 This exhibit brings 150 objects from world collections, private and public—from the British Museum to Seattle to private collections in Saudi Arabia to objects that have have never left Morocco before. Although it has a very focused subject, Nur is a good entrée for beginners because it’s all different media and different periods and countries in the Islamic world. It will provide the public with an overview of Islamic art that they don’t easily get access to. It’s bringing manuscripts, metal works, ceramics—amazing things. 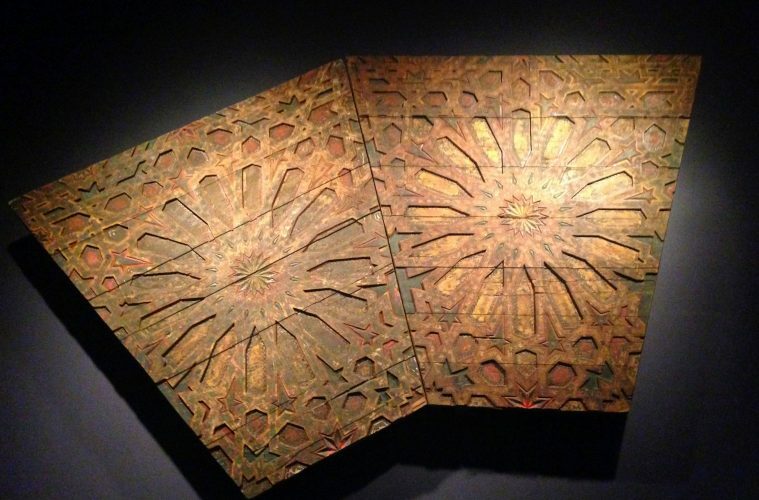 On view in Nur: Light in Art and Science in the Islamic World at the Dallas Museum of Art. So that’s a very focused introduction, and then comes the Keir Collection. By the time Nur leaves, it’s like we’re almost saying to the public, “Don’t be disappointed; there’s still a permanent display coming up.” It’s partly planned, because it’s part of a coherent vision, but it’s amazing what life’s timing and what I call happy accidents do as well. So it all makes sense. What are some objects in Nur you’re excited about showing people in Texas? Even though we’re talking art and science, the whole thing is being looked at from the point of view of art. We’re looking at objects that are beautiful and at the beauty connecting art and science. 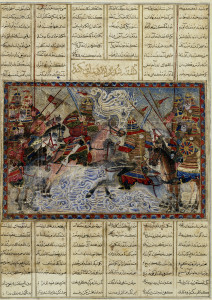 For example, we have a manuscript that comes from the national library of the Kingdom of Morocco. It is a 13th-century copy of a manuscript by Al-Zahrawi, a 10th-century surgeon from the south of Spain. He invented several surgical instruments, and his manuscripts have illustrations of these instruments, which, by the way, don’t look that different from the 21st century, and he was somebody who wrote on the cosmetics of beauty—you know, plastic surgery. This is in the 10th century, and I find that really avant-garde. It’s a manuscript that was not exhibited before, that comes to the U.S. for the first time, and it was not easy to make it leave Morocco, etc. At the same time, you have another manuscript, from Fez in the ninth century, where there was one of the earliest universities in the world. 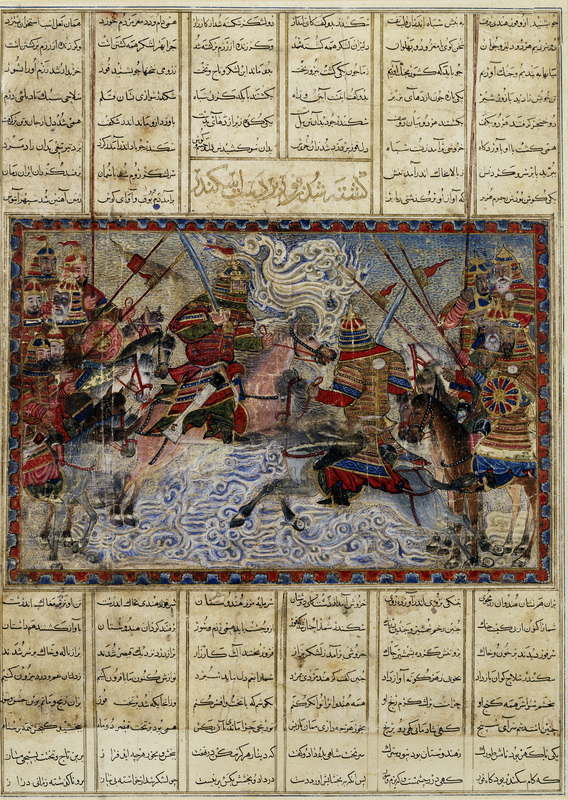 … This was the first manuscript chosen to enter the inventory of the library, so to get it out, to make it leave its place and open it so that the double-spread illumination of color and gold and arabesque that speaks to the world … is amazing. These are objects that are rare, that you don’t get to see, and that actually come to talk in a modern way. I mean, they communicate something that is beyond the time they were made. 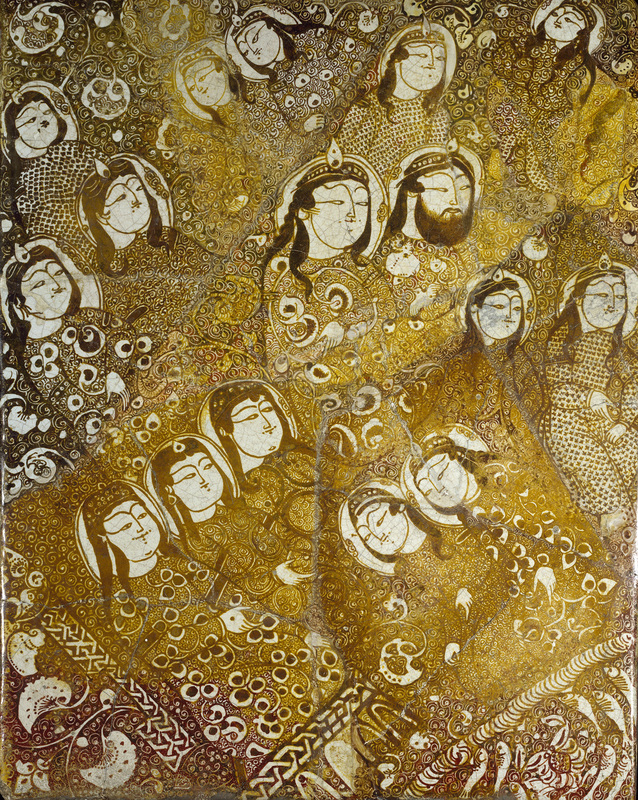 A few years ago the Brooklyn Museum traveled a show called Light of the Sufis: The Mystical Arts of Islam to the Museum of Fine Arts, Houston. Is there some overlap with those themes in Nur? No, not at all. This is not about an esoteric dimension of thinking or anything like that. This is literally creating a journey—a physical journey, in the sense of the layout of the exhibition—where themes are like spotlights. 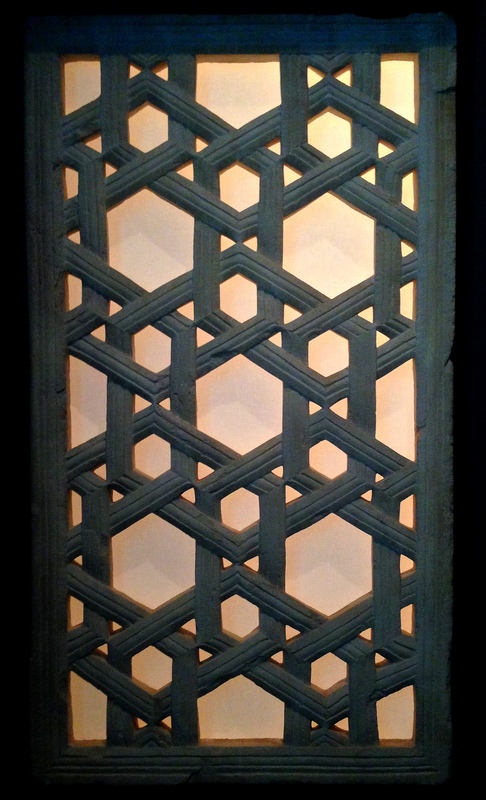 Each theme communicates about a technique in Islamic art, or a scientific innovation that somehow relates to light, directly or indirectly. For example, luster-painted pottery is a technique which fires the pot twice. It’s painting the designs with metallic oxide, which leaves a film of iridescence, like gold shining. Luster-painted pottery was an innovation of the Islamic world, because it started in Iraq in the ninth century; it went to Egypt in the 10th, 11th century; and from Egypt it went to Syria and Iran, and from Iran it went to Spain, and it’s from Spain that it went to Europe and the rest of the world. It’s fascinating, because this migration, the journey, is the transfer of knowledge. In science, Islamic Spain plays a very important role for the foundation of the Renaissance. “European Renaissance”? They don’t own that knowledge. Everything is interconnected, and the knowledge of a people, a culture, is part of the knowledge of humanity at large. There’s a 13th-century, luster-painted tile from the Keir Collection. It’s very beautiful. … It makes an impact, and it has a (Gustav) Klimt quality to it, as far as I’m concerned. For me, it’s Klimt, you know? We’re talking 13th-century Kashan (Persia), and for me, Islamic art has within it that timeless modernity that is there. The Keir has very good examples of luster-painted pottery, but also one of the themes in Nur is “The Art of Luster.” So it brings together luster-painted pottery through this migration journey—from Iraq, from Egypt, from Iran, from Syria, from Spain—and then you see it through a thread of light. For example, you see how—in terms of the chemistry and the recipe—luster oscillates between lemony green or yellow to reddish brown, depending on how much tin or copper is in the mixture of the recipe. The balance between tin and copper in your tile is what creates that reflection. It’s an example that connects creativity across place and time. So another advantage to bringing Islamic art to the DMA is that you can tell a more complete story of European art as well. Yes. It’s also exciting to show Nur because it’s the first really comprehensive Islamic art exhibition in the history of the DMA. So it’s a first, in a way, and it’s an introduction in itself to something vast that’s coming.